At the first of every year many people set goals. In most cases they set goals for what they want to achieve in the next 12 months. They then jump in feet first and go for all of them at once. Within a week or two most people have stopped all of their activities toward those goals and are right back where they started last year and the year before and the year before… You know what I mean. According to statistics 45% of people make New Years resolutions while only 8% are successful at achieving them. Here are a few tips for making your goals successful. First, only set one goal at a time. You may want to set some longer term goals as far as where you want to be by the end of the year, the end of three years and the end of five years, but beyond that you need an action plan. That means little goals to get you to the big goal. Second, using muscle checking, you can find the instructions for muscle checking by subscribing to my newsletter in the upper right corner of this page. If you have another method of discernment use that. Make a statement such as: I can easily achieve ______ goal. Check to see if the answer is yes or no. If it is no, work on your mind-set first. You’ll find simple tools and steps for discovering your underlying beliefs that are holding you back, along with tools for quickly changing your beliefs. Third, once you know your beliefs are strong, determine the baby steps that will get you to your goal. Weight Loss example: I wanted to lose a few pounds, to be my ideal weight of 104 lbs (I’m very petite). So, I looked at my eating habits and realized that for me all I needed to do was fast for a few days, which would begin helping me to cut back what I eat every day, because after the fast I never feel like eating the same quantity I was eating before. I decided that I would fast for 3 days each month. I made it simple, by doing it the first 3 days of each month. It was a great way to keep me on track. I dropped the few extra pounds within 6 months, and then leveled off. I didn’t stop fasting for 3 days per month, because that keeps me on track and cleanses my body. It became a habit. Improved Relationship example: If you want to have more loving supporting relationships. You might set the following steps. Check to see that you believe you deserve to be loved and supported – if not your first step is to work on your self-love and your mind set about self worth. Focus on one area of your relationships you want to improve, such as more harmony at home. Decide that you are going to find ways to be more harmonious within yourself. To be more loving toward yourself and less judgmental. Once you achieve that goal, proceed to the next step. Focus your attention on be more harmonious with one person in particular. Be more loving toward them and specifically watch your judging of them. Each time you find yourself judging them, ask yourself what part of me am I judging here, because it is quite likely if you look deep enough that you will find that what you are judging them for is something you are judging yourself for. As you recognizing that you are judging that person, decide instead to laugh at the human condition or experience and then see yourself being accepting of whatever it was you were judging them for. You’ll notice a change in your interaction with that person in no time at all. When you are ready go to the next step. Focus your attention on creating better relationships in general. To do this visualize on a daily basis that you are interacting harmoniously with an open heart with every person you meet. The idea here is to take baby steps to making the change, make those baby steps habits and your life will change immensely. Over the years those baby steps are what create the success you are wanting to achieve. Every Overnight Success Took Years! To get started with your mind-set and especially your self-worth and self-love you’ll find invaluable tools in my ebook One-Minute Energy Tune-Up ~ Power Symbols for Self-Love. 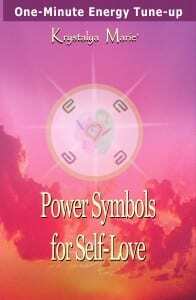 Get Your eBook: One-Minute Energy Tune-Up ~ Power Symbols for Self-Love. Subliminal Messaging only: Listen 24 x 7 in the background. Brainwave Entrainment for Relaxation and Meditation using binaural beat to put you in a meditative state. Order the special offer bundle now!